Engadine Gymnastics caters for all levels of students, ranging in age from 3yrs through to teenagers and adults. Classes run during school terms and do not operate during school holidays. FreeG Ninja Kids – is participation program focusing on Dominate Movement Patterns for 4-5yrs. GymFun – all athletes start in a Kindergym or Gymfun class and move through the awards. AeroFun – is a basic skills class learning Aerobics skills and movement patterns. GymSkills – is for athletes who have achieved all the Gymfun awards. Athletes can do a TeamGym Novice class as well as Advance Gymskills eg enrol in Tuesday Class 1 and Wednesday Class 8. Aerobic Gymnastics – is for athletes who would like to do competitive Aerobics. It incorporates traditional Aerobic skills plus AeroDance. 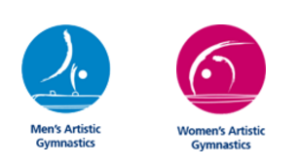 TeamGym – Athletes must have completed the Gymfun Awards to be eligible for the class and is a competition pathway with weekend commitments. Foundations – is for selected athletes and is a competition pathway with weekend competition commitments. 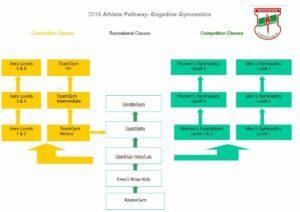 Women’s Levels 3 & 4 – is for athletes who have passed foundation Levels, this is a competition pathway with weekend competition commitments. Men’s Levels 1-5 – is for athletes who want to compete Levels Gymnastics, this is a competition pathway with weekend competition commitments. GentleGym– is for athletes aged 50+ focusing on fundamental movement, strength and flexibility. KinderGym is Gymnastics Australia’s movement-based learning experience for young children and their caregivers. Children need as many opportunities as possible to optimise brain development and increase physical potential before they go to school. KinderGym provides a safe environment for children to develop physical skills in a fun and playful way, at their own rate. Educational research tells us that children learn best through exploring and discovering their abilities through physical activity. Gymnastics Australia’s KinderGym program offers children a LaunchPad into fundamental movement; ensuring they can experience a wide range of movement activities and be encouraged to think, create, construct and solve problems with their own bodies. KinderGym programs assist in your child’s physical, social and cognitive development, as well as co-ordination and self-esteem. KinderGym is the first of the three sequential programs within LaunchPad and is specifically designed for children aged between 0 – 5 years old. An Accredited KinderGym Leader guides each program, ensuring that the equipment set-ups are safe, stimulating and provide endless movement opportunities for your child to play and learn. Parents/caregivers also benefit from sharing in their children’s fun and enjoyment. KinderGym allows parents to share rather than direct, allowing for real benefits from the child’s self-initiated play. Parents may also be interested in becoming KinderGym Leaders. Gymnastics Australia’s KinderGym program has been founded on child development principles and is steered by the KinderGym Guiding Principles. It promotes the child as the key focal point and involves active participation of the child’s mother, father or carer. Engadine Kindergym classes are designed for pre schoolers aged 3-5 yrs. Due to the practical nature of the class, parents/guardians are required to be on hand to assist their child during the session. Recreational Gym is designed for school age children. These classes are designed to introduce your children to gymnastics, and instruct them in the proper techniques regarding the various apparatus used, in a friendly and fun atmosphere. Engadine Gymnastics runs a strong recreational boys and girls squad. Classes are broken up by approximate age group and ability, with parents being encouraged to assist with the various exercises. Team Gym is a participation program for all ages and abilities providing performance opportunities within a team environment for fun, fitness and friendship. Why Team Gym and not a Rec Gym program? -Team Gym provides STRUCTURE and engourages short and long term goal setting. -Team Gym recognises the SOCIAL NEEDS of your people in training, developing and performing routines. -Team Gym provides REGULAR EVENTS which give participants the chance to celebrate learning and demonstrate their skills. -Participants can DEVLEOP AT THEIR OWN PACE without the risk of being dropped form the team or promoted above their friends. Ask your coach about the Engadine TeamGym classes today! Aerobic Gymnastics combines gymnastics skills with dance in a fast-paced, fun and energetic gym sport. Performing to music, the gymnasts performs high intensive, continuous movements, utilising strength, flexibility and agility. Aerobic Gymnastics can be performed as a solo gymnast or with friends, both providing for a highly entertaining and crowd-engaging sport! Levels Gym is designed for the more experienced Gymnasts aimed at competition. Its a fun and challenging sport where Gymnasts are able to build their co-ordination and confidence to an advanced level. Built around performing on apparatus, the sport allows for athletes to provide creative input into their routines, where strength, flexibility, balance and body awareness all contribute towards a gymnast’s self-confidence. 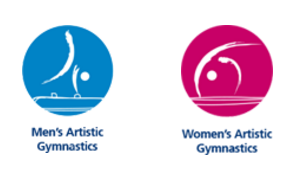 Engadine Gymnastics have both a boys and girls squad at Levels. Both these squads are very capable and regularly place in major competitions.